Independence Day is something worth celebrating. 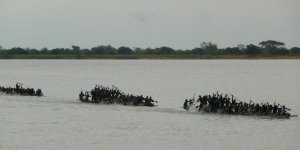 In Macina they know how to get the crowds cheering: boat races on the River Niger. Join our 3-day Ségou-Macina-Ségou boat trip and enjoy a truly local festivity. We're looking forward to welcome you on board!